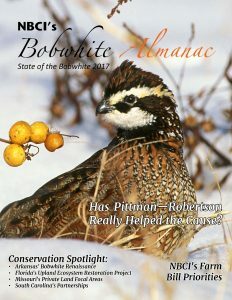 NBCI’s Bobwhite Almanac/State of the Bobwhite Report is an annual publication of the National Bobwhite Conservation Initiative (NBCI) to provide a range-wide snapshot of population, hunting and conservation status of the northern bobwhite, as well as looks at efforts underway to reverse the bobwhite decline. Grasslands: Can Livestock Be the Answer to Bobwhite Recovery? 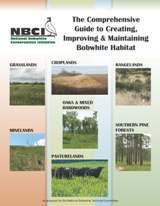 This comprehensive, illustrated guide provides the latest approaches and techniques to create, improve and manage habitat for wild bobwhites in grassland, rangeland, pastureland, southern pine forest, oak and mixed woodland and reclaimed mineland settings from experts around the range. Note, there are purposeful duplications in many sections because multiple techniques can be applied in various settings. The duplication allows users to print the entire 88-page guide and use without flipping back and forth to reference various practices, or to simply print the section(s) most appropriate to user interests. All applicable practices are included in each section! 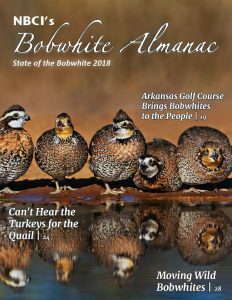 NBCI’s annual report on the “state of the bobwhite” features stories on NBCI Making Conservation History, South Texas being designated as the first-ever legacy landscape, and feature success stories on New Jersey, Louisiana, Kentucky, the national pine restoration initiative, and Tennessee. 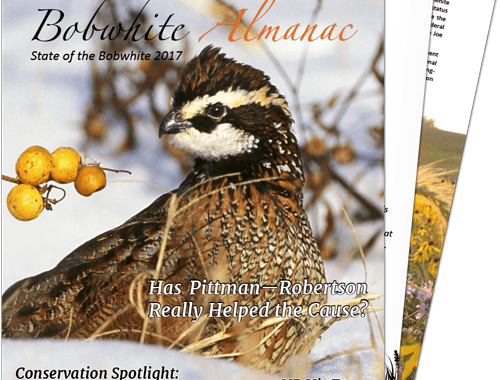 Quantities of this 2015 brochure distributed in hard copy format to the 25 state quail coordinators is an overview of what NBCI is and how it works, the tools at its disposal and the strategies involved in the restoration of wild quail at the landscape level.